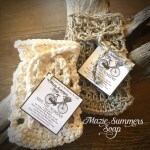 Mazie Summers Soap wants getting clean to be a time that enables you get away from it all, if only for a little while. 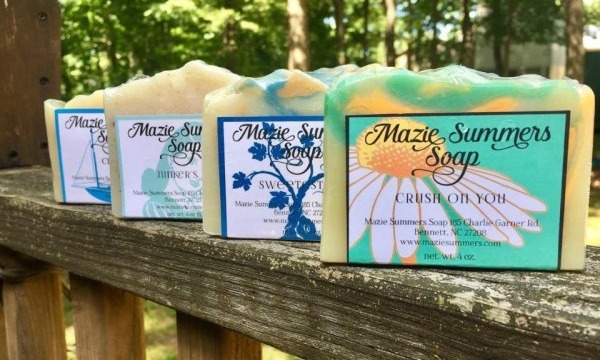 We make handcrafted soaps that are made from top grade oils and butters, quality fragrances and essential oils, goat's milk and natural rainwater collected right in our backyard located in the southwest corner of Chatham County, North Carolina! 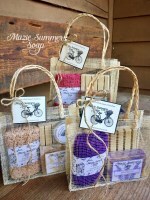 Soaps to take you back....Go home again to the comfort of Mama's kitchen with our Oatmeal, Milk, and Honey. Remember the clink of the porch swing and the scent of honeysuckle vines with Front Porch Memories. Blue Spruce is reminiscent of tramping through a snowy woods. Whichever soap you choose, it is bound to refresh and make you ready to take on another day!